APS Fellow Nicki R. Crick passed away peacefully on October 28, 2012 at the age of 54 after a brief but courageous battle with cancer. Crick was a Distinguished McKnight University Professor and Irving B. Harris Professor of Child Psychology at the Institute of Child Development, University of Minnesota. Crick obtained a bachelor’s degree in psychology and a master’s degree in human development and family studies at Purdue University. In 1992, Crick earned her doctorate in clinical psychology from Vanderbilt University. 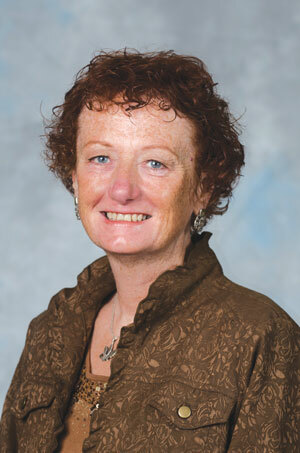 Crick spent five years as an assistant professor in human development and family studies at the University of Illinois at Urbana-Champaign before joining the faculty at the University of Minnesota in 1996. Crick was a William T. Grant Faculty Scholar and was the Director of the Institute of Child Development from January 2005 to June 2011. Crick is internationally known for her innovative research on relational forms of aggression. Relational aggression, defined as behaviors that harm others via damage to relationships, includes acts such as using social exclusion or spreading malicious rumors. Evidence indicates that girls are more likely to engage in relational forms of aggression than the physical forms of aggression that have previously captured the majority of empirical attention. Crick’s research documented the harmful consequences of relational aggression for victims and perpetrators, and forced aggression researchers to expand their studies of aggression to include a more gender-balanced examination of the causes and consequences of aggressive conduct. In addition to Crick’s extraordinary theoretical mind, she was at heart a methodologist — for each new idea, she painstakingly developed reliable and valid measures. This combination of theoretical and methodological brilliance in part explains how Crick was able to fundamentally change the way that we think about and study aggression following her groundbreaking publication on the topic of relational aggression in 1995. Crick made significant and lasting contributions to several areas of developmental science, including gender development, social information processing, peer relationships, and the development of borderline personality symptoms. Crick worked tirelessly to apply research evidence to promote positive youth development, both in the United States as well as abroad. Crick assisted with development of the some of the first intervention programs for relationally aggressive youth. Despite the claim by some that traditional aggression interventions would be effective at reducing relational forms of aggression, Crick suggested that research documenting unique predictors and consequences of relational forms of aggression highlighted the need for efforts that specifically targeted these behaviors. In recent years, Crick’s work extended to Uganda, where she conducted pioneering research with child soldiers. The scope of Crick’s work is far-reaching. Crick authored over 90 research articles and chapters. Several of Crick’s research papers, including her 1995 publication on the topic of relational aggression and her 1994 review of the social information processing patterns evident in aggressive youth, are among the most influential papers in the field of developmental science. In aggression research, it is now customary to include assessments of relational aggression in addition to measures of physically aggressive behaviors. Crick has received numerous awards for her scientific contributions, including the Distinguished Scientific Award for Early Career Contributions to Psychology from the American Psychological Association and the Boyd McCandless Young Scientist Award from Division 7 (Developmental Psychology) of the American Psychological Association. In addition to her extraordinary work as a developmental scientist, Crick was a warm and compassionate mentor. There were indicators of Crick’s unending support of her graduate students’ growth and ideas throughout her laboratory: the candy dish to give students fuel for what sometimes seemed to be never-ending data analysis sessions; the stickers on student paper drafts offering words of encouragement; the birthday cakes at lab meetings. Crick cared about and supported her students’ intellectual development. But perhaps more importantly, Crick worked tirelessly to create a fun environment where her students learned to love research. Several weeks before she passed away, Crick told me that mentoring her students was one of the best things that she ever did. She loved her students, and we felt it every day. Those who were lucky enough to train with Crick were fundamentally changed by the experience. Crick often talked of “intellectual parents” and “intellectual grandparents”, and she was right to do so. Her role as a guiding force in the lives of her students cannot be overstated. Crick’s example provided those around her with a model for who they wanted to be as scholars, as mentors, and as people. Crick was the type of person who, just by being who she was, changed the lives of others. She will be missed tremendously. I first met Nicki when I was an undergraduate student working at the National Institutes of Health (NIH). I attended a talk that she gave at the National Institute of Child Health and Human Development (NICHD) and I was instantly hooked. Several other fortuitous experiences solidified my desire to work with Nicki at the University of Minnesota. Central among them was her early encouragement of my honors thesis. When I met her in 1998, Nicki was already a leading scholar in the field and yet she took the time to provide some guidance and assistance to me as a beginning student. My story is not an isolated case. Nicki was an amazing and selfless person as well as a tireless supporter of her students. Her research laboratory, the “Crick Social Development Lab”, included a well stocked candy dish as well as stickers and words of encouragement on manuscript or dissertation drafts. Birthday celebrations and other significant events (e.g., wedding showers), practical jokes, and “roasts” of Nicki’s graduate students, affectionately known as “Cricksters”, were common at both lab meetings and holiday parties. I was often at the receiving end of her practical jokes and she had plenty of ammunition for my graduation roast. Her laugh was infectious and it was such a fun and relaxed environment anytime you were in her presence. For many years after I graduated she would call me most Fridays to check in and catch up. She gave me the nickname “Jamers” and I was always so excited to pick up the phone and hear: “Hey, Jamers! What’s new?” Nicki became close friends with so many of her students who are now spread around the nation and world. Her students are helping to carry forward her legacy as tenured faculty members, researchers, clinicians, and teachers. Nicki will always be remembered for her numerous seminal contributions to psychological science. Her theoretical models, methodological advances, and empirical studies of relational aggression and victimization have changed our field. However, her inspiration, compassion, and friendship have changed my life. Nicki was fundamentally a humanitarian and deeply cared about the well being of children, adolescents, and their families around the world. Nicki is deeply missed by her own family and the field, but we can and will pay tribute to her by continuing her important research program and by living our lives with joy, humility, humor, and respect for all people regardless of life circumstance or status. Nicki was always flowing with ideas for research and theory building. She has a Midas touch when it comes to research — the data frequently corresponded quite well with her initial thoughts and feelings. More important, however, is that relationships were also made golden by her personable touch. Nicki is not only a stellar mentor but also a wonderful friend. I joined her research lab in 1995, just as her work was beginning to change the field. Even with her rapid increase in reputational stature, she remained down-to-earth, particularly with her students, but also with complete strangers who would frequently approach her at conferences. She has always been a kind and generous mentor, doing small and simple things to encourage and inspire. Nicki’s wonderful sense of humor and infectious laugh are foundations of the best of PhD program memories. Those memories will linger, much like the days of a happy childhood. Indeed, to a great degree, her students, the Cricksters, are more than intellectual progeny. We feel much like family. Over the years, Nicki and I shared our personal feelings of Christian faith, and we found much in common. We hold beliefs that empirical science can neither validate nor invalidate, and yet they are a source of great peace to both of us. I have no doubt that such beliefs informed her manner of living and association with others. Nicki also held a deep appreciation for faith and divinity as it was expressed in numerous cultural traditions, not just the one of her childhood upbringing. Her trips to Africa enlivened her curiosity in all things spiritual. Her faith in our divine, non-aggressive natures was evidenced in our mutual interest in prosocial and moral responsiveness, transcending our predominant research focus on aggression. One of Nicki’s gifts to me was Robert Coles’s book, The Moral Intelligence of Children. Nicki was also the inspiration for my first lead-author publication with her, which was focused on benign attributional bias and prosocial behavior. When I graduated, she gave me a jar full of snips of paper, each having a prosocial behavior item from the data collections we had done together, and encouraged me to keep looking at the positive side of our basic natures. Her positive side was overwhelmingly apparent in all her interactions with me. I hope I can emulate her goodness, love, and enthusiasm better than I currently do. I will continually ponder the life lessons she taught me. I met Nicki when I was a graduate student at the University of Illinois. Specifically, I remember meeting her for the first time when she came to give a brown bag talk for the Developmental Division in the Psychology Department (she was an Assistant Professor in Human Development and Family Studies). That must have been 1994 or 1995. I know that it was during the period of time that Nicki had her early datasets on relational aggression, but either the seminal 1995 paper had not yet been published or there had not yet been the time for the work to become broadly known. This was my first exposure to research on relational aggression, and I was riveted. I loved the ideas, the data, and how passionately Nicki talked about the work. This was the real deal. After the talk, I asked if I could sit in on her lab meetings. I wanted see what happened next in this exciting line of research. Over the next few years, Nicki became an influential “adopted” mentor to me and provided me with valuable guidance and support that complemented the strong mentorship that I received from my advisor, Steven Asher. We only wrote one chapter together, but discussed ideas at length, poured over output together, and problem solved. Nicki’s input regarding publishing, grant writing, and so on was always spot on. I was even more influenced, though, by her contagious love of the work and her desire to learn about girls’ relationships. As my own career developed, I was very fortunate that our mentor-student relationship developed into a close friendship. I can’t pinpoint exactly when this happened, but certainly it involved meeting up during my trips to Minnesota, sharing pictures of our dogs, making time for one another at conferences, and drinking many glasses of white wine. I remember Nicki giving me a big hug after my first talk at the Society for Research on Child Development (SRCD), her encouraging words when I had a number of papers rejected as an assistant professor, and her unself-consciously saying “I love you!” at the end of telephone calls. I miss Nicki terribly and know that I am a better scholar, mentor, and friend because she was in my life. Crick had a deep personal passion for her work with youth in war-torn countries. I first met Nicki as I was finishing graduate school at the University of North Carolina. I emailed Nicki with a question about my dissertation results concerning children’s cognitions of their relationally aggressive peers. Not only did she immediately talk with me, but the conversation resulted in our co-chairing a symposium together at SRCD. Several years later I moved to Philadelphia and I called her to see if she would consider being the mentor for a K-23 Early Career Award. I was interested in exploring whether her pioneering research on relational aggression would be relevant to inner-city African American girls, and, if so, could lead to the development of relational aggression interventions to help these high-risk youth. Despite my remote location from Nicki, she provided phenomenal mentoring, including meetings in Minnesota each summer, during which time I presented my research ideas and listened to the innovative research that Nicki and her talented graduate students were working on. I always left with the feeling of how generous Nicki was with her time and her ideas, and how her confidence and enthusiasm in my intervention development work was infectious. She was a fabulous role model for how research should be conducted: collaboratively and respectfully. A few years ago I was honored to edit the first special series on relational aggression interventions. I immediately asked Nicki to join me in this endeavor because I could not think of a more appropriate person to represent how developmental research on relational aggression had been translated into interventions. 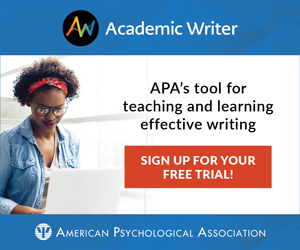 In addition to being a ground-breaking researcher, she also wanted her research to benefit the many youth who are tormented by relational aggression. Over the years, when I have received phone calls from the media and/or inquiries from other researchers about interventions to help youth suffering from relational aggression, many of the conversations would start with “I was talking with Nicki Crick about interventions to help relational aggressors and she said I needed to talk to you…” That is the greatest compliment I have ever received, and I have always made time to have meaningful conversations, just as Nicki did with me and countless other researchers. Nicki’s down-to-earth, humble style combined with such a strong desire to make a difference in the lives of so many youth made her an amazing role model. She was a phenomenal mentor, friend, and colleague who took great pride in others accomplishments. Her legacy will continue to grow, as it should, through the generation of graduate students, faculty members, and colleagues who she supported, inspired, and smiled upon. I first met Nicki over 20 years ago when I was a visiting professor at the University of Illinois at Urbana-Champaign. The University of Illinois had a fabulous group of developmentalists, and I had many stimulating and enjoyable discussions with them. Several faculty suggested that I meet with Nicki because her primary research interests were in the field of developmental psychopathology. I had no idea who she was as she had only recently received her PhD, and I was not at all familiar with her work. Our initial 2-hour meeting went very well and I could see that Nicki was immensely talented. However, she had something much more than a great intellect — she was imbued with a great passion for ensuring that the work she conducted would be helpful to children, families, and society. I knew that this confluence of characteristics was rare in a young, pre-tenured assistant professor. Nonetheless, I saw that in many ways Nicki was special, and I believed she would succeed in achieving these goals. Nicki cared deeply about her graduate students at Illinois and Minnesota. At Illinois, we had several lunches with her group of mentees and Nicki was very proud of them. Nicki was far more concerned that I meet her students than she was about telling me about her own achievements. A vivid later memory I have is seeing Nicki walking down the street at a SRCD meeting in Denver being followed by nearly 30 students, reminiscent of Konrad Lorenz and his ducklings! Nicki and I formed a lasting friendship. When she received her early career awards in developmental psychology, it was a major honor to me to be the person who presented them to her. Although I was at the University of Rochester Mt. Hope Family Center and Nicki at Illinois, we sought advice from each other on numerous academic and personal issues over the years. Nicki moved to the Institute of Child Development and five years later, I followed suit. She helped me find a home, accompanying me on many of my house hunting trips from Rochester. At Minnesota, Nicki and I forged several collaborations. We conducted research on potential precursors to borderline personality in maltreated children and co-edited two journal special issues on a developmental perspective on pathways and precursors to personality disorders. The project that most captured Nicki’s heart was her work with Acholi youth in war-torn Uganda. Consistent with Nicki the person, much of the effort in Uganda centered around helping the traumatized children. Nicki Crick felt things at a very deep level. She was a wonderful human being and a resilient individual. I am privileged to have been Nicki’s close and trusted friend, confidante, and colleague. I will never forget her and I miss her terribly. I got to know Nicki via working together on the GRE Psychology subject Test Committee. She was such a warm, positive, funny person. Sad to hear that cancer took her away.